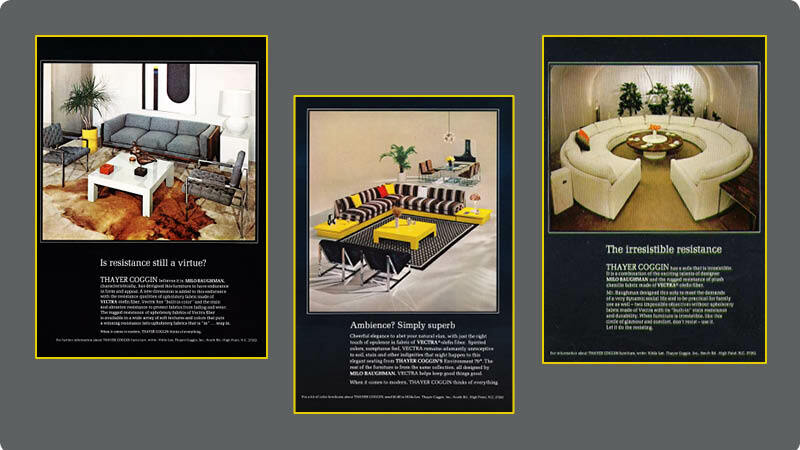 In 1953 design history was made as Milo Baughman and Thayer Coggin partnered up to create furniture that helped define the look of the American Modern Movement. The pieces they created together gained both Milo Baughman and Thayer Coggin acclaim and notoriety. The combination of classic lines and avant-garde style is what keeps their work in circulation with consumers and interior designers. Milo Baughman’s creative streak was evident from early childhood. When he was 13 years old his parents gave him the challenge of designing their new home. He rose to the challenge and his architectural plan was an astounding success, with his parents living there for 34 years! After receiving his degree in Product and Architectural Design, Milo went to work for Frank Brothers. At this point, the mid-1940’s, Frank Brothers had a reputation for being the West Coast modern go to store. By the early 1950’s Milo had established his name and was being praised for his designs by publications like the New York Times. He had a brief stint with Drexel where he launched his “Milo Baughman Collection”, before partnering up with Thayer Coggin the next year. The first piece produced was the Scoop chair, and it retailed for $39. It was a success and sealed Thayer and Milo’s place in the furniture industry. “He gave me a great deal of freedom,” Baughman said of Thayer Coggin, “and I could never forget that kind of support.” Under his partnership with the Coggin’s, Milo was free to express himself, and created several pieces that are known as design classics to this day. 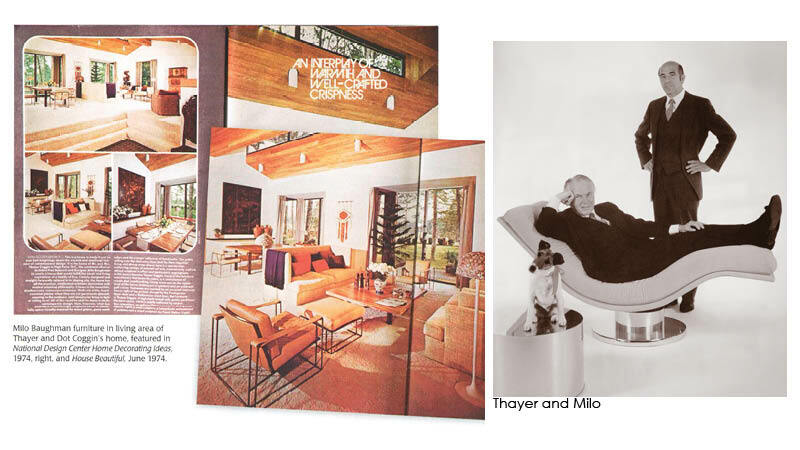 Vintage Thayer Coggin ad’s featuring Milo Baughman’s designs. If you are in the Austin area be sure to check out Thayer Coggin’s travelling roadshow to celebrate their 60th Anniversary. The event is Thursday, June 27 from 5pm to 9 pm. NESTModern is located at 1009 W. 6th St, at the corner of 6th and Baylor. For more details visit their facebook page at http://www.facebook.com/nest.modern. ← How do I design my small space to feel larger and more functional?